It’s no secret that physicians are committed to patient wellness, but what about their employee’s wellness? According to the Center for Disease Control, 11.6% of individuals in health-diagnosing occupations are obese. One cause: a shortage of effective workplace fitness programs. A Mayo study recently found fitness trackers alone are ineffective in promoting personal health and wellness habits. Participant feedback shows that “the tracker didn’t influence their behavior because after a few days they forgot the device was there.” In contrast, manual logging of miles creates virtual diaries that reinforce the behavior, giving people ownership of their own health outcomes! Let’s face it, seeing your progress every day is much more motivational than seeing end-of-program results. Racery’s virtual races, with real time updates, are a great way to track immediate progress using maps, leaderboards and passing notifications. 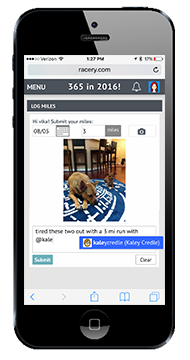 Each time an employee logs miles, her progress log features a 360-degree street view of the current locale in the virtual race. 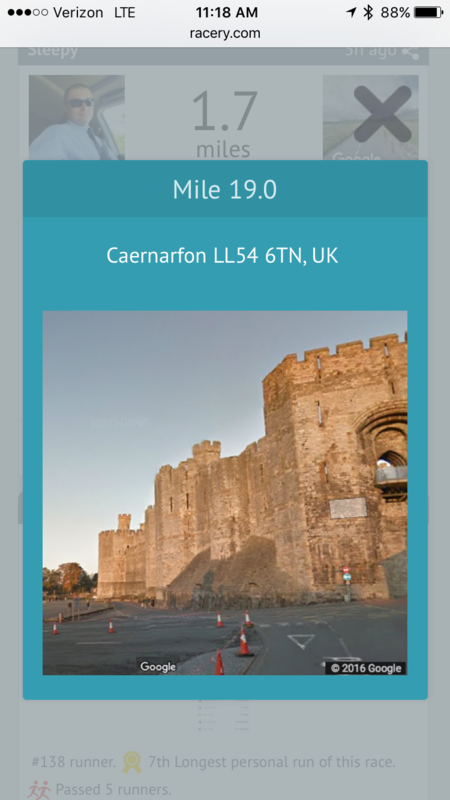 For example, on our Castles of Wales virtual challenge, racers are rewarded with views of Caerarfon, Beaumarais and Conwy castles + more! Participants in a Racery virtual race motivate and encourage one another by liking and commenting on each other’s recent activity. Racery’s pass notifications further prompt interactions and motivational messages. 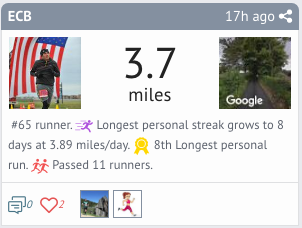 Our software tracks each log and rewards racers with achievements like “Passed 7 racers” or “Longest personal streak grows to 15 days at 3.99 miles/day.” Racers are prompted to improve their streaks and personal bests! By using a fitness challenge last for four weeks or more, employees are more likely to build healthy habits since they’re engaged in repetitive activity over an extended period of time. The best motivator when losing weight is knowing that others are watching and rooting for you. Making your hard work visible to peers and coworkers helps you stay on track! An unusual benefit of Racery’s virtual race platform is the option offering a wellness challenge to partners as well as staff. A communal effort to get healthy makes everyone feel more accountable and involved.